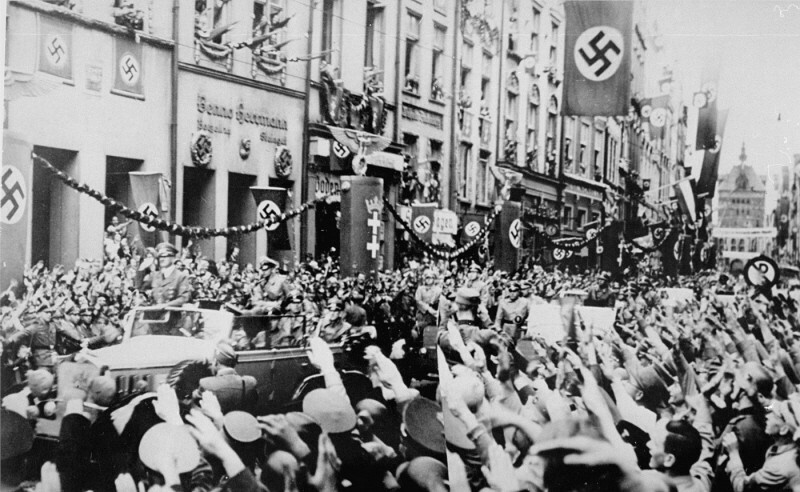 Saluting Germans greet Adolf Hitler (standing at front of car) as he enters Danzig. The Danzig District was incorporated into Greater Germany following the invasion of Poland. 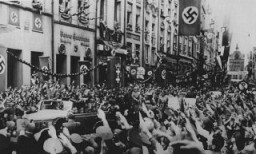 Danzig, September 19, 1939.